In September 2016, a team of nurses from East and North Hertfordshire NHS Trust (ENHT) and the University of Hertfordshire in England travelled to Kerala, India to interview and recruit nurses for the trust’s acute hospital. Before undertaking the interviews, the team visited a nursing college and two hospitals. Based on the findings from these visits and from meeting the interview candidates, the team designed a bespoke mentoring programme for Keralan nurses recruited to ENHT to ease the transition into nursing and living in the UK. 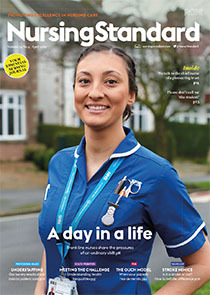 This article explores the challenges associated with recruiting and retaining nurses from overseas, and discusses how these can be addressed to ensure that these nurses practise safely and are supported effectively.